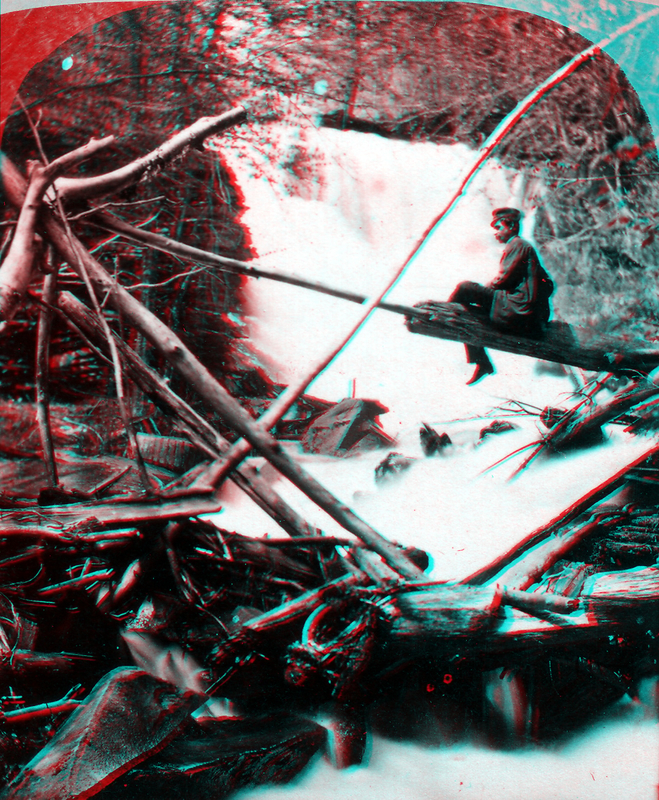 This stereoview shows a man sitting on a suspended log above the waterfall. 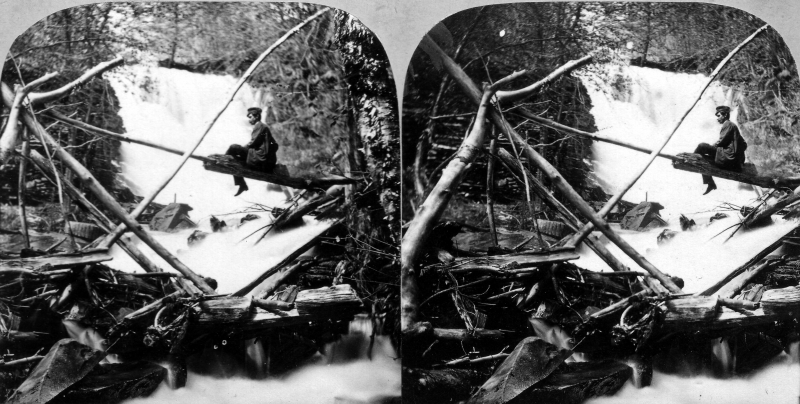 The woody debris piled in the foreground includes logs and cut lumber, presumably from a flood. Several angular boulders are visible in the streambed. The stream is surrounded by woods. Loona Brogan writes on 2007-11-07: This is likely Benjamin Falls, which still runs behind the water treatment plant for Montpelier, on private property.